Melissa Etheridge covered the Staple Singers' classic "Respect Yourself" on her 2016 album "Memphis Rock and Soul". On this stellar album, she paid tribute to the music of pioneer label Stax Records. 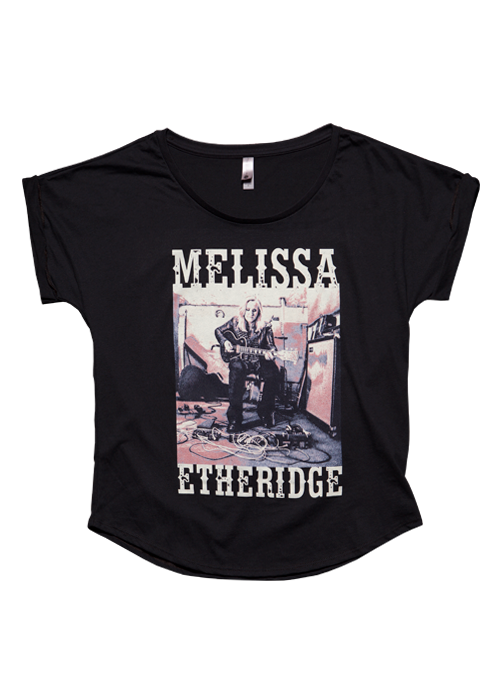 The artwork on this women's tee shows Melissa in the studio. The image is a bold portrait of an artist at work on a project that is close to her heart. On "Respect Yourself," she took the song's original meaning from the early 1970s and updated the lyrics to speak to today's political and social climate, inspired by the Black Lives Matter movement and other modern striving for equality and change.